The Super Highway to finding a Motor Dealership near you! A regionalised directory of used cars for sale and motor dealerships in the UK. 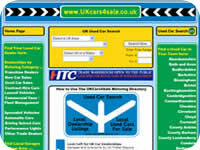 The concept of this website is a WebAlert venture as part of its motor trade SEO project.